Kylie Jenner came under fire from fans after posting a video of one of her beloved dogs looking emaciated.Despite the Italian Greyhound Club of America insisting her dogs Bambi and Norman are supposed to be on the skinny side, the LA County Animal Control confirmed to TMZ they had received complaints regarding her treatment of her pets. 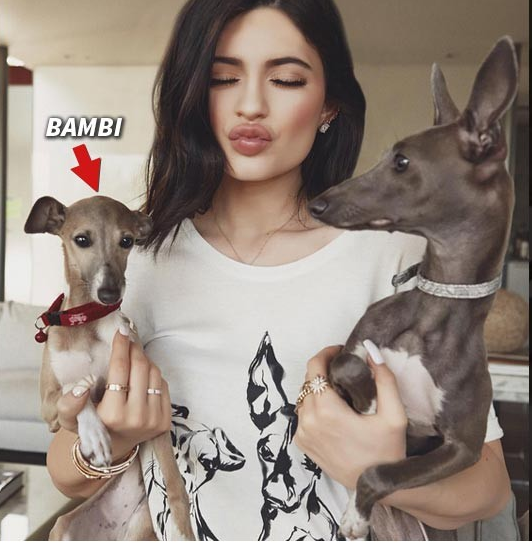 A spokesperson for LA County Animal Control tells us they received complaints of possible animal cruelty after Kylie posted a video of her Italian greyhound, Bambi, appearing to be scary thin. We're told if they find evidence of neglect charges could be filed, and the dog could be seized.